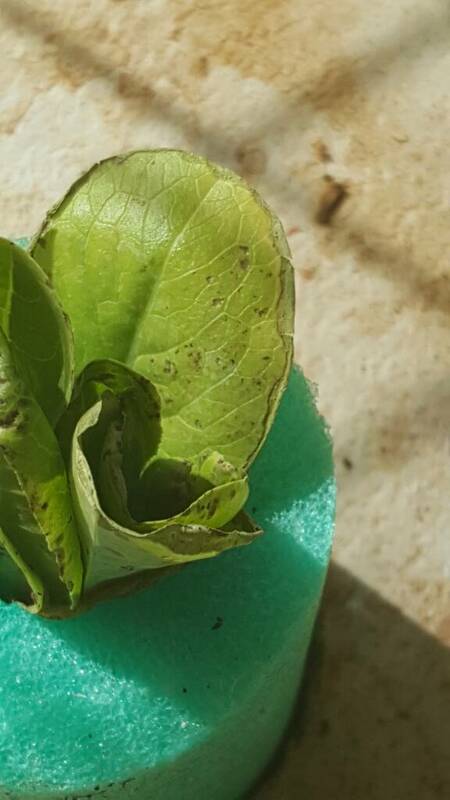 Backyard Aquaponics • View topic - are the black spots insects? 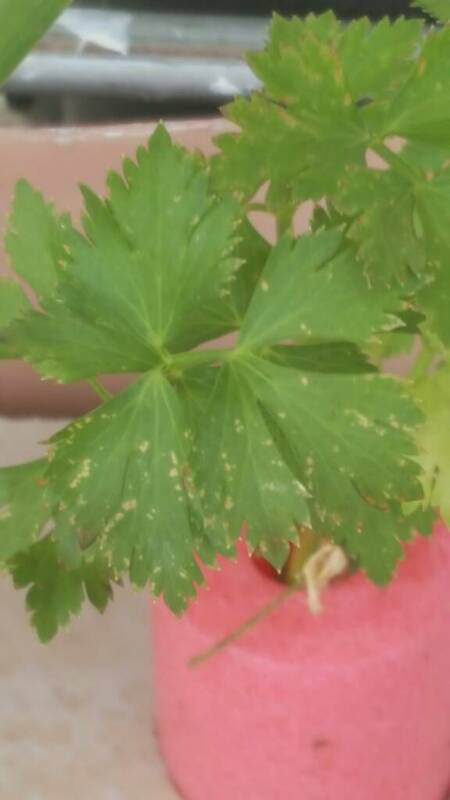 are the black spots insects? Post subject: are the black spots insects? my system is new, up and running. i can now focus on the plants. i sprayed new plants with a garlic/ pepper emulsion . 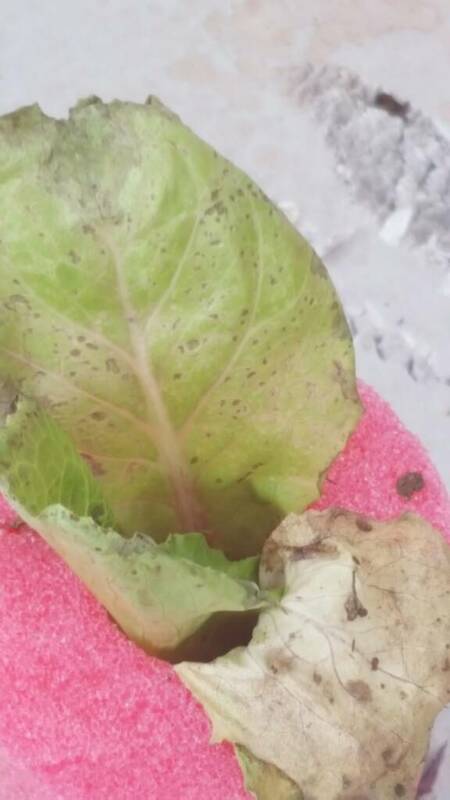 the lettuce have started to show these spots. Post subject: Re: are the black spots insects? Had to tell from the pics, I think it's more likely to be bacterial/fungal. ty earthbound. i sprayed the plants with a garlic/ pepper oil based emulsion againts insects. 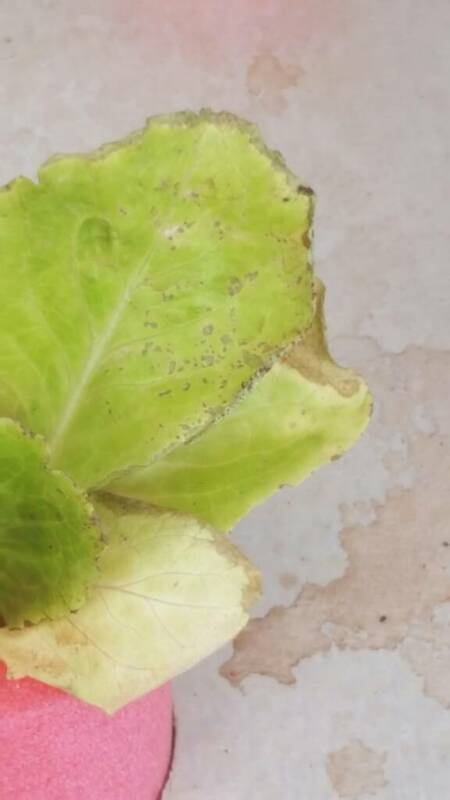 what treatment can i use against bacteria/fungus? You often can't apart from removing effected plans. Need to make their environment as healthy as possible, whats your growth like? Generally really healthy well fed plants have strong immunity to problems. Almost all of the lettuce in my system has that look. I think it’s either nutrient deficiency (doubtful) or temp. Lettuce likes things a bit cooler and I try to keep my water warm. It all tastes great so I don’t worry about it. Shaunohara what is the temperature of your water ? You'll often get spots like this if you've had splashing or rain on the leaves. Try to keep the leaves dry if you can. I think it's probably a bacterial or fungal problem as was mentioned earlier but many organisms are spread by water droplets.